I was going to give this post the title “It’s been a long time between drinks” but this photograph, taken in Prague last August by my wife, kept playing in my mind. Six months have passed since the last post (sounds almost military! ), and what a busy 6 months it’s been. On 29 July 2013 we stepped onto an aeroplane at Auckland International Airport to begin a three-month journey around the world. Our journey took us to China, Eastern Europe, the UK, USA and Canada, including a 7,000 km trip by car to visit the National Parks in Southwest USA (during the Government shutdown!). Before leaving we moved the contents of our home of the previous 32 years into storage, and upon returning they were removed from storage into a new home. Unpacking, a family Christmas, reconnecting to normal life and sorting through thousands of photographs have taken up the balance of the time up until now. To say that the trip was memorable would be an understatement. Exposure to a broad range of experiences and cultures made the time pass quickly. Now our photographs help to being back the memories. Some of these and the accompanying experiences will be shared in the coming months. This entry was posted on January 29, 2014 by alphathread. 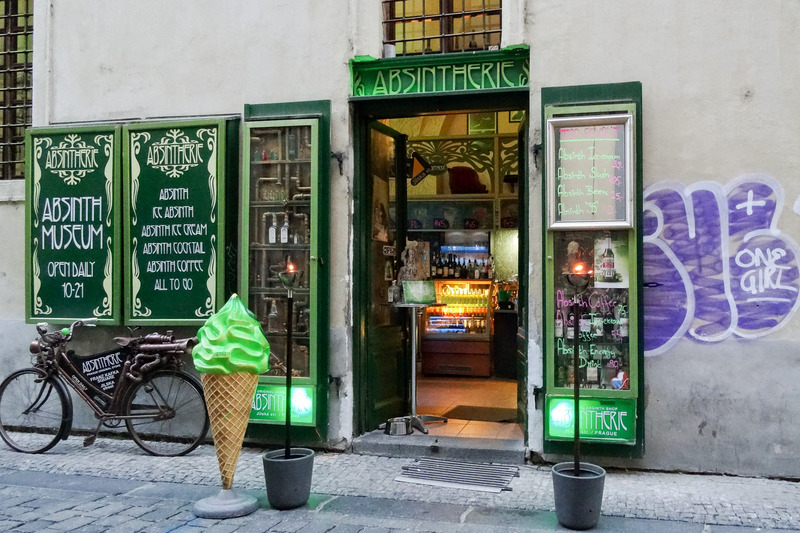 It was filed under Chris Gregory, Europe, Exploration, Travel and was tagged with "absinthe makes the heart grow fonder", absinthe, absinthery, Eastern Europe, Prague. Don’t leave everything until retirement – it may be too late!